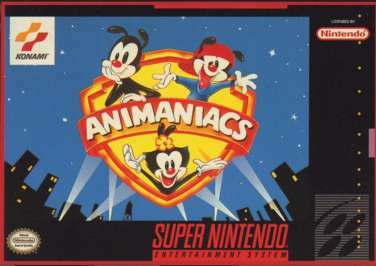 Based on the television show, Animaniacs for Super Nintendo allows you to play as Yakko, Wakko, and Dot to sell items they find throughout the lot at their own personal store. Play through four stages with many challenges and obstacles. Get rid of mutiple enemies with weapons, such as hammers and bombs.